Hyderabad Tourist Places, Places to see in Hyderabad: Hyderabad is a city worth visiting. This capital city of Andhra Pradesh and the fifth largest city in India present amazing holidaying options to all kinds of tourists and their varied interests and preferences. From museums to monuments to lakes to gardens to shopping complex to amusement parks and recreation, one will find various places to see in Hyderabad. One of the most popular Hyderabad tourist places is Charminar. A trip to Hyderabad is incomplete if one doesn’t visit Chraminar which has been built in the year of 1591 by Mohammed Quli Qutb Shah who is referred as the founder of Hyderabad. Another popular Hyderabad Tourist Place is Golconda fort. However, apart from Golconda Fort, there are many other historical places to see in Hyderabad such as Qutb Shahi kings, Malwala Palace, Mecca Masjid, Purani Haveli, Paigah Tombs, Raymond Tomb, Chow Mohalla Palace and Taramati Baradari. For religious trip, Hyderabad tourist places Birla Mandir, Durgam Cheruvu, Sanghi Temple, Chilkur Balaji are present. Visiting lakes like Hussainsagar Lake which was excavated in 1562 A.D. by Hussain Shah Wali, Osmansagar which is better known as Gandipet cam offer you some relaxed and refreshing moments. 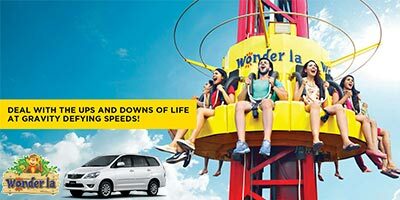 Along with these, there are various places to see in the city of Hyderabad such as Mir Alam Tank, Necklace Road and amusement park such as Ocean Park, Snow World and Mount Opera. 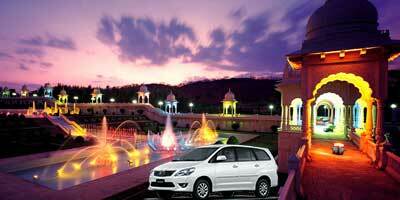 The famous Ramoji Film City is place that must be visited on your Hyderabad tour. Museums also form an important part of Hyderabad tourist places. Some of these are Salar Jung Museum, Nizam‘s Silver Jubilee Museum and AP State Archaeological Museum, A P Archives and Research Institute, B M Birla Planetarium, B M Birla Science Museum, Cinema Ghar, Golconda Fort Archeological Museum, Health Museum, Jagdish and Kamala Mittal Museum, Numaish Exhibition, State Central Library and Sudharma. Hyderabad Tourist Spots: Hyderabad, the capital city of Andhra Pradesh and the fifth largest city in India is quite popular amongst tourists because of umpteen numbers of sightseeing options. 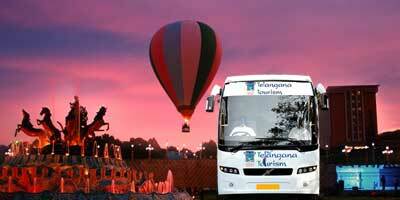 There are wide range of tourist spots in Hyderabad catering to all kinds of tourists and interests. From museums to monuments to lakes to gardens to shopping complex to amusement parks and recreation, Hyderabad has almost everything to make your vacation special. Trip to Hyderabad is incomplete without visiting Charminar which was built in the year of 1591 by Mohammed Quli Qutb Shah who is refereed as the founder of Hyderabad. Apart from the famous Golconda Fort, there are various historical tourist spots in Hyderabad such as Qutb Shahi kings, Malwala Palace, Mecca Masjid, Purani Haveli, Paigah Tombs, Raymond Tomb, Chow Mohalla Palace and Taramati Baradari. Religious Hyderabad tourist spots include Birla Mandir, Durgam Cheruvu, Sanghi Temple, Chilkur Balaji. Mir Alam Tank, Necklace Road along with amusement parks like Ocean Park, Snow World, Mount Opera also make for an interesting fun filled tour. 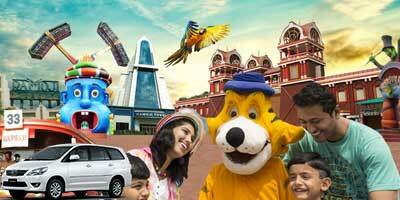 Ramoji Film City is one of the tourist spots which must be visited while on Hyderabad tour. Hyderabad tourist spots also include various kinds of museums promising an interesting visit. Some of these are Salar Jung Museum, Nizam‘s Silver Jubilee Museum and AP State Archaeological Museum, A P Archives and Research Institute, B M Birla Planetarium, B M Birla Science Museum, Cinema Ghar, Golconda Fort Archeological Museum, Health Museum, Jagdish and Kamala Mittal Museum, Numaish Exhibition, State Central Library and Sudharma. There are various gardens and parks in Hyderabad as well. Some of the parks in Hyderabad are NTR Gardens, Nehru Zoological Park, Lumbini Park, Sanjeevaiah Park, AnathaGiri Forest, Indira Park, Mahavir Harina Vanasthali National Park, Public Garden of Hyderabad, Botanical Garden (Kondapur). 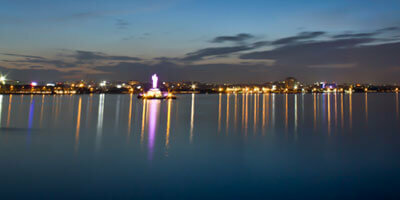 Lakes such as Hussainsagar Lake which was excavated in 1562 A.D. by Hussain Shah Wali, Osmansagar which is better known as Gandipet are also two popular tourist spots in Hyderabad. Hyderabad Places: Hyderabad, one of the metropolitan cities of India is a wonder in itself presenting a perfect mix of both the world - traditional and age old culture as well as best of modern world and facilities. Along with world famous Hyderabadi cuisines the city offers its visitors with various kinds of places for sightseeing. There are all kinds of Hyderabad places ranging from monuments to museums to lakes to gardens to shopping complex, etc. Historical places in Hyderabad are many in number and each place is worth visiting. Some of these are tombs of the legendary Qutb Shahi kings, Chow Mohalla Palace and Taramati Baradari, located at Ibrahimbagh. For religious tourists there is Birla Mandir which is one of the popular Hyderabad places along with Durgam Cheruvu, Chilkur Balaji Temple. Museums such as Salar Jung Museum, Nizam‘s Silver Jubilee Museum and AP State Archaeological Museum also make for an interesting and knowledge filled tour. Parks like NTR Gardens, Nehru Zoological Park, Lumbini Park, Sanjeevaiah Park add a touch of greenery and natural beauty to the city. Other Hyderabad Places include lakes like Hussainsagar Lake which was excavated in 1562 A.D. by Hussain Shah Wali, Osmansagar which is better known as Gandipet, are perfcet to spend a relaxed evening or looking at the rising sun by the side of its refreshing water. KBR National Park, Mrugavani National Park, Mahavir Harina Vanasthali National Park are located close by and offer perfect trip for nature lovers. Taramati Baradari Culture Village is also a Hyderabad place worth visiting. It is a known venue for various kinds of music concerts, performing arts, social events etc. Another popular Hyderabad place is Shilparamam which is an Arts & Crafts Village.